It's that time of year again where the jeans are swapped for shorts and your everyday bra is now a bikini! I have searched high and low for all my favourite bits to bring abroad this summer from bikinis to kaftans and everything in between. Some of these things I have bought for my trip away in July and I can't wait to wear them! Big this summer is fringe detailing, hence why I fell in love with the second bikini! The colour is also perfect against any skin tone. I wouldnt normally go for black in bikinis because of my pale colouring but the first bikini is to die for! It's bandage style is very figure hugging and enhances your waist line. The last bikini is a dupe for the Triangle bikini brand and it is available in many colours but the blue and yellow was my favourite! And best thing is it's from Penneys! 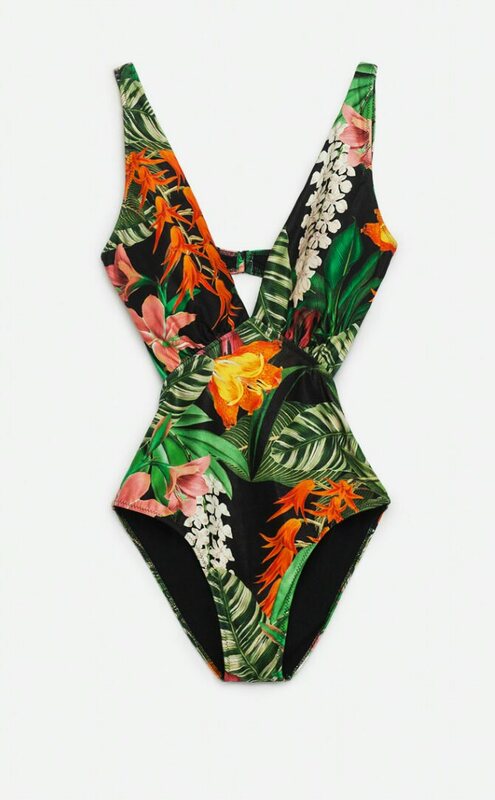 This year is going back to the 90's with high thigh swimsuits in every colour! I would love to be brave enough to wear them but instead I have opted for these three swimsuits above. My favorite is the second one from Zara which looks like a bikini from behind, it has a slight high thigh effect and cut out details on the sides. As you can probably tell so far I am loving everything Missguided, and it doesn't stop here! The long line kaftan is from Missguided and this is a fabulous piece that will never go out of style. Its snake skin print will go with every bikini/swimsuit and its perfect for throwing on for walking down to the pool each morning. The second outfit is a dress from non other than Penneys, and even better it only costs €20 and it's boohoo design is very popular this summer. But my favorite is this fine knit metallic gold dress with the tie up detail which is everywhere and it looks fab over the white swimsuit. 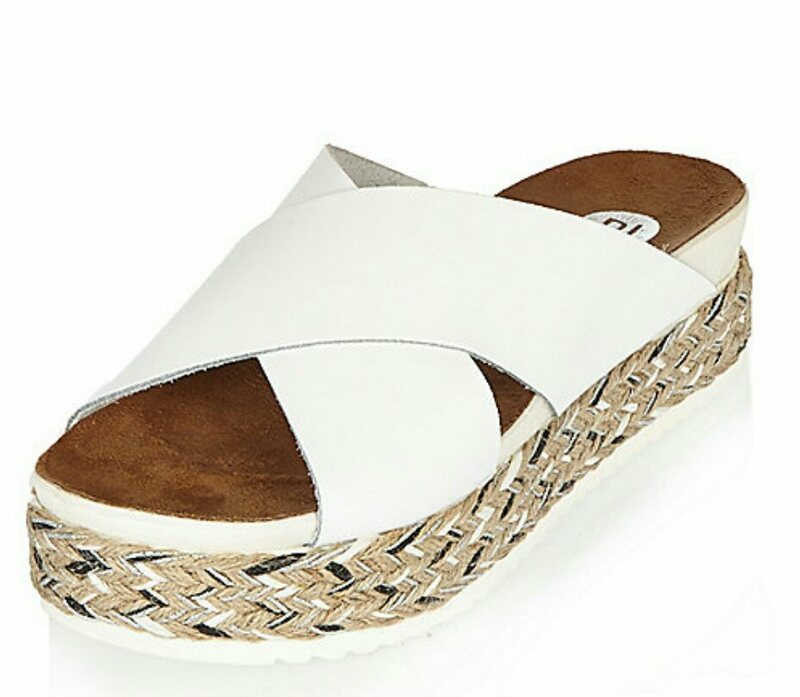 Now I haven't gone and picked shoes from Missguided because there is only one place that I go for my holiday shoes (bar Penneys) and that's River Island. 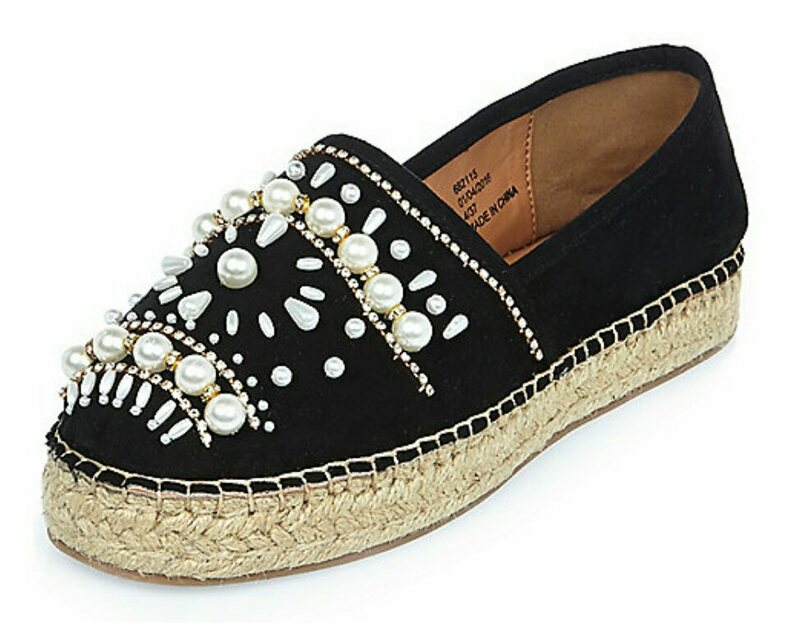 Espadrilles and Birkenstock style shoes are all the rage and I just feel in love with both of these and they are perfect for day or night wear. But my fav are these lace up gold shoes. Their small heel is perfect for when you want a bit of height but still want to be comfortable. This evening two years ago I remember going over and over notes for my English exam and currently I'm sitting at home writing this blog post, half way through my degree in Forensic Science, somewhere I did not think I'd be after receiving my Leaving Cert results. I decided a few weeks ago I was going to write this blog post because I know back then I probably could have done with someone who was in my shoes telling me that no matter what happens everything works out the way it is meant to. After my Leaving Cert I definitely became a firm believer in 'Everything Happens for a Reason' because I still managed to get to the place I wanted to be in even though my exams didn't go to plan. You'll get people telling you to make study plans and manage your time correctly because this will get you the best results when in the long run we all do the night before cramming, early morning study sessions or even both and I can tell you that I made those study plans and they didn't work for me. That's not to say they don't work for everyone but if they are supposed to be a factor behind getting you the best results how did I fail the subject I spent the most time studying? Then you're told not to stress.... easier said then done. If you stress so what, it means you care and that's a good thing. But if you do stress that doesn't mean you have to have a melt down two minutes before going into an exam center because that's probably the worst thing you can do. My favorite subject in school was Home Ec, I lived and breathed everything to do with it and both of my teachers were amazing, but I got so worked up in the exam and started to panic and couldn't produce any information I had learned and then my results showed that. Not to brag but I was an A student in this subject and I got a B1 (still and amazing result but not what I wanted) and I remember I went to review my paper and my teacher even told me she expected and A from me, which didn't help the matter. But it just goes to show that panicking doesn't help the situation, if I had just calmed myself and took 5 minutes to write down anything I could remember maybe I would've gotten what I had hoped for. Basically this rant is supposed to help you guys out there sitting your exams tomorrow. This is coming from a girl who only ever wanted to study science (mainly forensics/anatomy etc.) and I spent a whole year travelling every Saturday morning up to Leeson Street for Chemistry grinds and I studied every night religiously (only this subject...I wasn't that good of a student!) trying to wrap my head around it and I got a big fat fail..well I got an E which is better than an F but still a fail haha! And the best thing about my results was my mam trying to make things better by saying 'but you got an A2 in English' a subject which I spent the least time on, I was just lucky with the paper that came up on the day. And here I am, after failing Chemistry in my Leaving Cert, studying over in Galway to be a Forensic Scientist, a chemistry based course. I got my 10th choice on my CAO, the lowest of lows and I couldn't be happier. I love my course, I love Galway and I love the people I have now met only because of how I did in my exams. This is why I'm a firm believer in everything happens for a reason, because I was far from where I wanted to be in relation to my Leaving Cert but now I couldn't be any closer to what I want to do as a career all because of how things worked out. So don't work yourself up because of how things go tomorrow or the next day or over the following weeks, whats meant to be will be.